SEATTLE — For years, maternal health has been considered a key indicator in determining the overall wellness, stability and development of the family and society. A mother’s health status impacts her children’s survival rates and on a broader scale predicts the economic and social development of the country, as well as the potential improvement in life expectancy rates. According to the World Health Organization, maternal mortality can be defined as “the death of a woman while pregnant or within 42 days of termination of pregnancy, irrespective of the duration and site of the pregnancy, from any cause (directly or indirectly) related or aggravated by the pregnancy or its management, but not from accidental or incidental causes”. An example of accidental causes of death that are not considered when calculating the annual maternal mortality rate percentage is the death of pregnant women when coming in contact with a cluster bomb in a war zone. Incidental causes can be defined as threatening non-communicable diseases, such as a woman dying from cancer after delivering her healthy baby. Maternal deaths can be caused by direct and indirect effects related to pregnancy or delivery. Obstetric complications, such as hemorrhage, eclampsia or complications from anesthesia or cesarean sections, are considered to be direct causes of mortality, while indirect causes are described as pre-existing diseases or conditions, such as cardiac or renal illnesses, which developed during the woman’s pregnancy and were aggravated by the physiological impact of pregnancy. The confirmation and reporting of maternal deaths remains a challenge in low-income countries, which in turn renders it difficult for the different sectors in developing nations to keep records and retain valid data on such avoidable deaths. In 2005, the lack of national data on maternal mortality in Lebanon, and the reliance on an arbitrary equation of 150 deaths per 100,000 to report the incidence rates, prompted the Lebanese Ministry of Public Health (MOPH) to sponsor a field project aiming to generate accurate indicator estimates of morbidity rates in 2008. 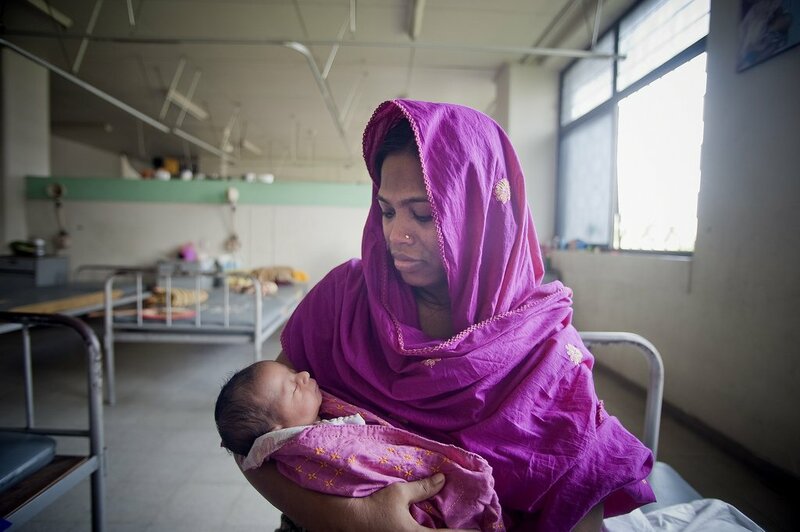 To ascertain maternal deaths, the MOPH relied on community-based maternal deaths reviews, facility-based maternal deaths reviews, reproductive age mortality surveys and confidential inquiries into maternal deaths. After maternal health experts (gynecologists, public health professionals and family doctors) reached a consensus about the appropriate methodology to rely upon, maternal mortality in Lebanon for the year 2008 was reported to be 26 per 100,000. Intersectoral prevention and control measures were taken to decrease mortality rates among new mothers and improve their quality of life. With the ongoing Syrian crisis and the strenuous impact generated by the war on the health of refugees, the Lebanese MOPH feared an increase in maternal death rates due to the continuous influx of Syrian refugees into the country and their reported deteriorating health status. However, the collective management and coordination efforts carried out by the different departments within the MOPH have not only prevented additional deaths among new mothers, but also have succeeded in reducing the maternal mortality rate by more than 75 percent. This accomplishment ranked Lebanon as one of the few countries in the MENA region capable of attaining the Millennium Development Goal addressing maternal mortality. Such a remarkable success can be attributed to the collaboration between the MOPH, the National Committee for Safe Motherhood, the Lebanese Society for Obstetrics and Gynaecology and the United Nations Population Fund, and their resulting research on maternal mortality and training activities within academic centers and hospitals to ensure the involvement of all responsible sectors in maintaining a low maternal mortality rate in the country. The National Report on Maternal Mortality was launched on November 30, 2016, by the Director General of the Ministry of Public Health, Dr. Walid Ammar, with the support of the United Nations Population Fund. The event hosted a large number of stakeholders in the field of maternal health representing ministries, the civil society, academia, trade unions and United Nations organizations. Future plans were discussed to sustain the continued success within the targeted field. The success of this program in Lebanon is an example of how collective efforts can bring about a result that improves health and alleviates poverty for many people. Lebanon’s results can be used as a model for many developing countries to follow.